Plus, state rent control law gets praise, scorn from dueling editorials in the Los Angeles Times and the Wall Street Journal. 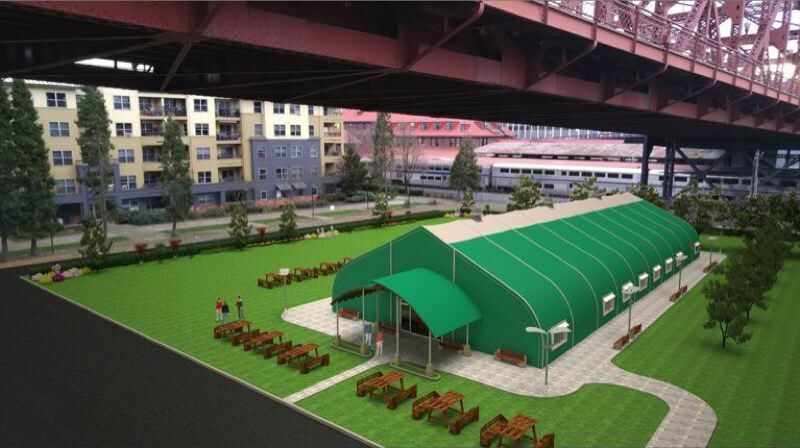 Developer Jim Winkler has escalated his fight against the homeless navigation center and shelter being built near the east end of the Broadway Bridge. Lawyers representing one of Winkler's companies have filed notice with the Oregon Land Use Board of Appeals that it intends to appeal the building permit for the facility issued by the city to Oregon Harbor of Hope, the nonprofit organization behind the project. The notice does not state the grounds for the appeal, and Winkler did not respond to requests for comment. Winkler currently is challenging the cleanup plan for the property approved by the Oregon Department of Environmental Quality at the Oregon Court of Appeals. He said the plan is not as stringent as one DEQ required for an office building on adjacent property. Although Winkler owns an undeveloped lot adjacent to the planned facility, he says he is concerned about the health of the people who would be living and working there. Meanwhile, a resident in a nearby condominium building has filed an appeal with the city's Design Review Commission. It argues the facility does not meet the city's design standards for the River District where it is located, among other things. It is scheduled to be heard by the commission on April 18. Oregon's first-in-the-nation statewide rent control law is drawing mixed reviews across the country. Senate Bill 608 was approved by the 2019 Oregon Legislature and signed into law by Gov. Kate Brown on Feb. 28. The Los Angeles Times called it a "good model" for stabilizing rents on March 1. The editorial noted the new law "is aimed at curbing really exorbitant rent hikes, which makes it more of an anti-gouging measure than most rent control laws in cities like Los Angeles and San Francisco." The editorial board of the Wall Street Journal offered a different opinion on March 4. "One would be hard put to identify an economic policy with a more proven record of destruction," the Journal said. Neither paper predicted the new law would end the affordable housing crisis by encouraging the production of more homes. They said limiting rent increases actually could reduce the production of new homes in the future.